Criterion (i): The group of monumental ensembles at Qufu is of outstanding artistic value because of the support given to them by Chinese Emperors over two millennia, ensuring that the finest artists and craftsmen were involved in the creation and reconstruction of the buildings and the landscape dedicated to Confucius. Criterion (iv): The Qufu ensemble represents an outstanding architectural complex which demonstrates the evolution of Chinese material culture over a considerable period of time. Criterion (vi): The contribution of Confucius to philosophical and political doctrine in the countries of the East for two thousand years, and also in Europe and the west in the 18th and 19th centuries, has been one of the most profound factors in the evolution of modem thought and government. As a heritage site embodying the core value of traditional Chinese culture—Confucianism, incorporating the Temple and Cemetery of Confucius and the Kong Family Mansion, the property area covers all the necessary elements for demonstrating its historical values and setting. The Temple reflects the paramount position of Confucianism in traditional Chinese culture. The Cemetery, as a graveyard for Confucius and his descendants, provides integral and most important material evidence for the development of the Kong Clan. The Kong Family Mansion, as the office and residence for the direct descendants of Confucius, testifies to the eminent status enjoyed by the Kong family in traditional Chinese society because of Confucianism. The maintenance and protection of the property, which was never disrupted in Chinese history due to the property’s great significance, reflect traditional Chinese conservation intervention methods. The property possesses high authenticity in terms of design of the building complex, building materials used, continuity in construction technology, preservation of historical condition and as deliverer of spiritual values, which are all faithful expressions of traditional Chinese culture. Qufu, as the hometown of Confucius, has always been the most congregated inhabitation of his descendants, and today, the surroundings of the property still provides the most important residence for the offspring of Confucius. This social phenomenon and situation also contributes to the authenticity of the property. The Temple and Cemetery of Confucius and the Kong Family Mansion were included in the first group of State Priority Protected Sites in 1961 and the property is protected under the Law of the People's Republic of China on the Protection of Cultural Relics. The official institution responsible for the protection and management of the property is Qufu Cultural Heritage Management Committee. A multi-source and stable fund guarantee system has been established, with specific funds allocated for heritage conservation each year. The enactment and efficient implementation of relevant national and local laws and regulations provides strong legal protection to the property. The property boundaries and buffer zone were clearly designated in 1986. In 2003, the Master Plan for Qufu City was drawn up, and the Regulatory Plan for the Ming City of Qufu was made in 2007, regulating protection of the setting of the property. These documents provide legal, institutional and management guarantees for safeguarding the authenticity and integrity of the property. Now the protection of the heritage has been integrated into the social and economic development plan, the urban and rural construction plan, the fiscal budget, the system reform and the leadership accountability system of Qufu. Systematic periodic and daily monitoring has been carried out, while the complete heritage monitoring system and documentation database of the property are being developed. 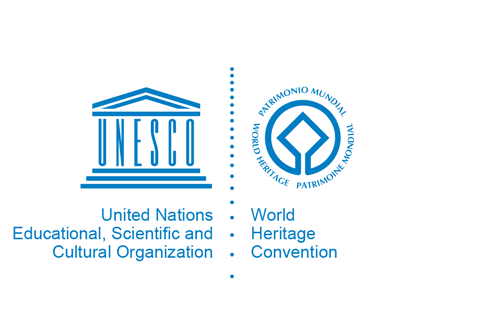 Survey, design and implementation of intervention projects are conducted strictly in accordance with relevant laws, regulations and technical specifications, while charters relating to world cultural heritage protection have also been observed. Further measures will be taken to ensure the authenticity and integrity of the heritage and its setting, and to strive for rational use and sustainable development of the property.